This being my first oil portrait, I was very pleased to see Marilyn come to life before me like magic. 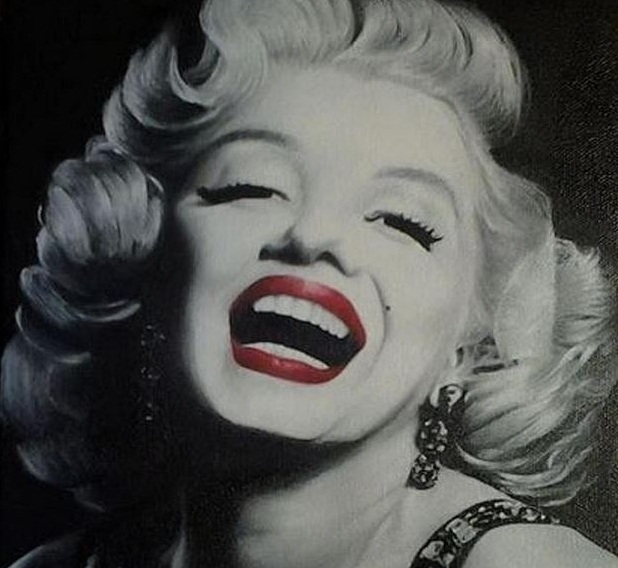 I set reasonable prices so you can feel good about seeing Marilyn around your home everyday. 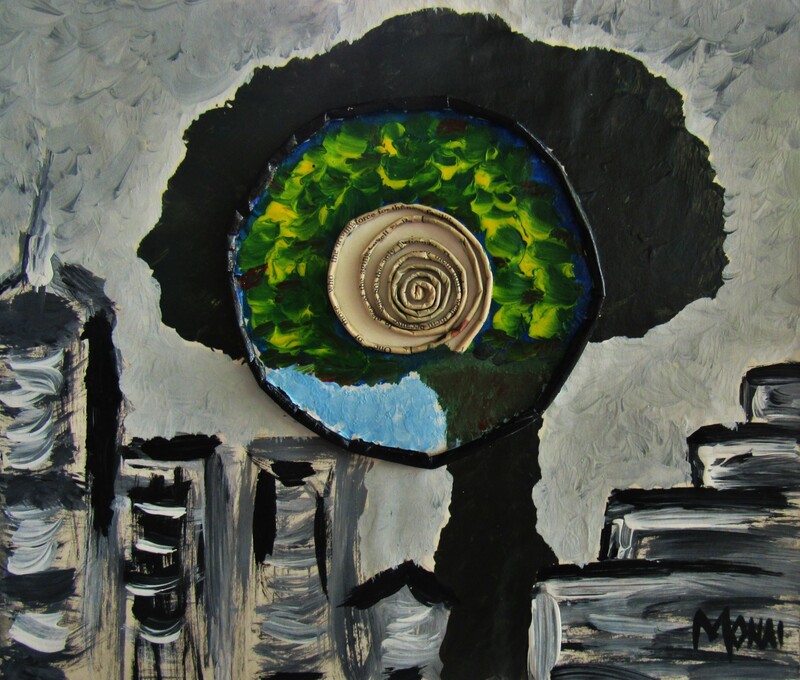 This original mixed media is currently for sale. This piece was so fun to create! The center spiral is newspaper rolled up and glued onto the paper, as is the larger black circle. While I didn't plan it, I imagine this being a cityscape where childishness, expressionism. . . 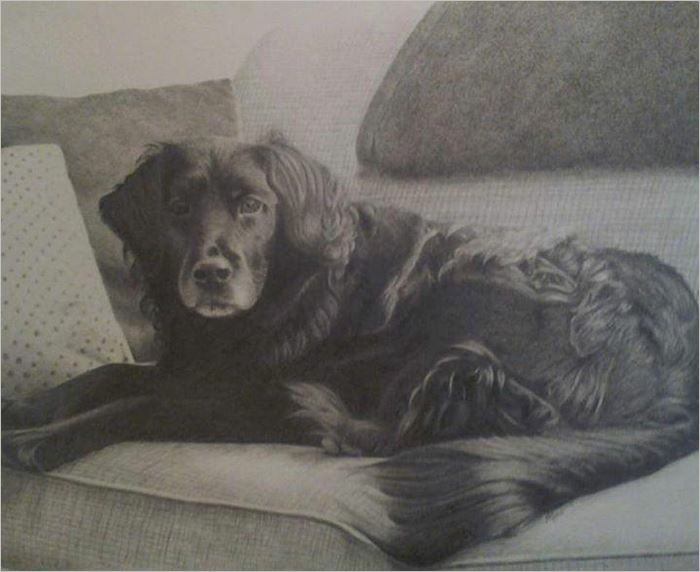 While some dog companies or simply dog lovers might like a print of this, mostly she is on this site for exposure since I believe this is my best pencil drawing and one of my most impressive artworks - certainly a favorite of mine.